Rectangular Home Address Sign - - 9.75"x 5" cut corner rectangle address plaque personalized with the address number you supply. Made in USA. Address line holds up to five (5) 3" characters. Bold border follows the cut-out corners and accentuates the unusual shape. Dimensions: 9.75"W x 5"H x 0.375. 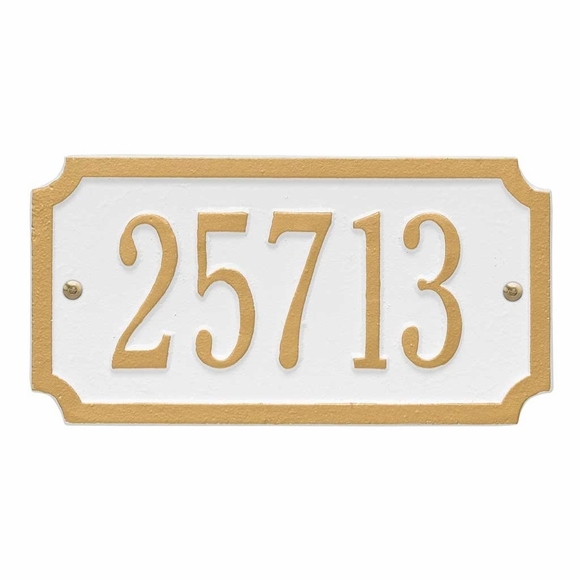 One Line Personalized Address Sign includes your home's street number. Made in USA. 5-year warranty.